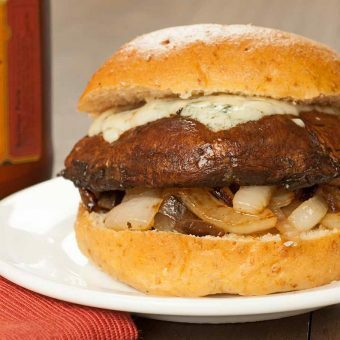 Grilled portobello mushroom caps glazed with a balsamic reduction and topped with sautéed onions and melted blue cheese make a deliciously satisfying burger. 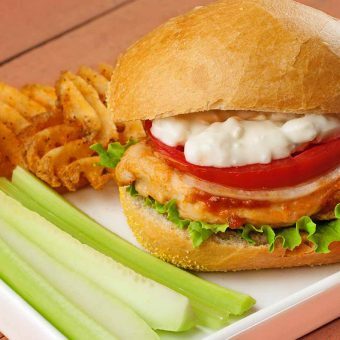 A boneless chicken sandwich that captures all the essential flavors of buffalo wings. 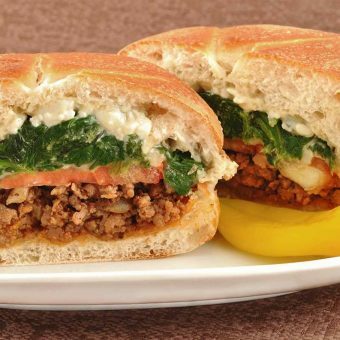 Crumbled Italian sausage, mushrooms, sautéed spinach, tomato, provolone and gorgonzola cheese combine on a French-style round roll for a satisfying hand-held dinner. 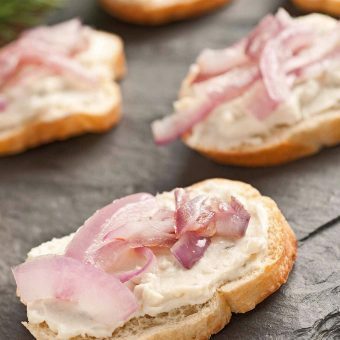 Served on crackers or rounds of toasted baguette, this creamy spread is made with blue cheese, cream cheese and honey and topped with thin-sliced, sautéed red onion. 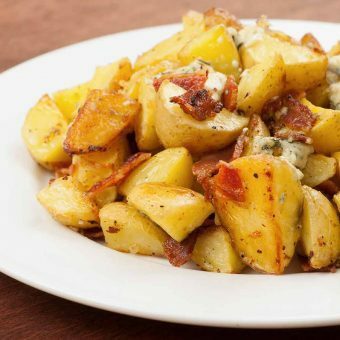 Baby potatoes oven-roasted with lots of garlic, then tossed with bits of crisp bacon and tangy blue cheese. 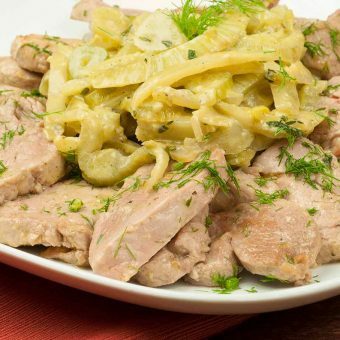 Tender, sautéed medallions of pork tenderloin are delicious served with creamy braised fennel finished with a bit of blue cheese. 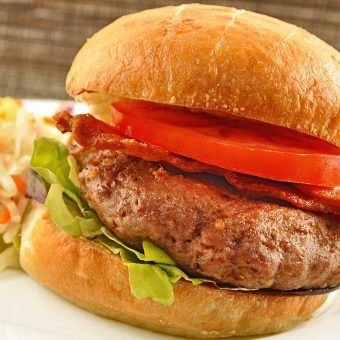 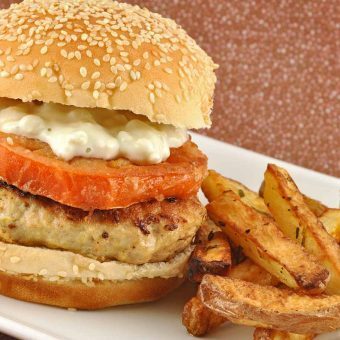 A mixture of creamy blue cheese, chopped shallot, mayo and a bit of honey makes flavorful, moist turkey burgers.